The Metropolitan Museum of Art has released the season 1 (20 episodes) of The Artist Project in which artists respond to the collection of the Metropolitan Museum of Art. There will be a total of 100 episodes when the project is complete. Just published this month, Roger White’s The Contemporaries is an excellent collection of six chapters which navigates the art world today. He covers the Master of Fine Arts, artist assistantships and contemporary art production, the state of regional art centers, and the different career trajectories of three contemporary artists. For those of you on Instagram, Buzzfeed has a list of 23 “must follow” art world Instagram accounts. Adding to the list of regional art festivals in Japan, the website for the Saitama Triennale 2016 is up. This week’s visual candy treat is the Floating Flower Garden by teamLab currently on display at Miraikan, The National Museum of Emerging Science and Innovation in Tokyo. The Floating Flower Garden is a new addition to teamLab’s Future Park. The exhibition has been extended until May 10th. Due to its overwhelming popularity of Future Park, visitors on weekends and holidays will need to pick up a numbered ticket for a timed admission into the exhibition. However, no ticket is needed to see the Floating Flower Garden which is on the 7th floor of Miraikan. Hors Pistes Tokyo 2015 has announced their open call for new film work produced or filmed in Asia. The application deadline is March 31st. A recently published paper in the the Frontiers of Psychology discusses how memory of objects can be dependent on color. Over at Hyperallergic, Greta Louw writes about the exhibition Time & Motion: Redefining Working Life currently on exhibition in Berlin through April 6th. delhiphotofestival15 in India has opened their call for photograph-based works that fall under the theme of “aspire”. The deadline for applications is April 15th. 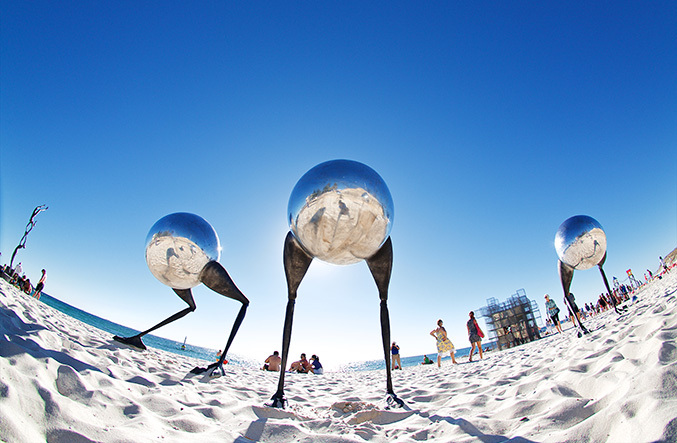 Sculpture by the Sea, Bondi 2015 in Australia has opened their call for artist submissions. The deadline for applications is April 15th. Don’t forget that Art Fair Tokyo 2015 is happening this Friday, Saturday, and Sunday. In addition to the numerous gallery booths and special exhibitions from Japan and around the world, there are going to be a series of talks during the fair which are free with admission to the fair. Kjell Hahn and Fuyuko Kobori have created a collaborative tea ceremony and bamboo tea room installation “Sankeien” as part of the Myogi 33enniale at the Myogi Furusato Museum of Art. The installation will be up through March 29, 2015. Deanna Koubou is currently a resident artist at the Tanks Arts Centre in Cairns, Australia as she prepares her “Butterfly Rainforest” installation for the Botanical Garden Visitor Centre which will be on exhibition from April 10 – May 11, 2015. Michelle Zacharias will be participating at the Stella Nova exhibition at the Artcomplex Center of Tokyo from April 21 – May 3, 2015. It has been a while since the last ABC post! The artists associated with Art Byte Critique have been busy with exhibitions, travel, artist residencies and studio work these last few months and the hard work continues this year. Here is what we’ve been thinking about this last week. THE FENCE is an annual series of summer-long, outdoor photographic exhibitions inaugurated in 2012 as a sister initiative to Photoville in Brooklyn Bridge Park with our partners in photo art mayhem Photo District News. The call for work covering 6 themes is open until March 16th. The Manifest Creative Research Gallery and Drawing Center in Cincinnati, Ohio is looking for solo, group, and/or concept exhibition proposals for their Season 12. The call for exhibition proposals is open until June 1st. The Athens Photo Festival has a call for entries for their upcoming Photobook Exhibition with the theme of “ReFraming Memory”. The call for photobooks is open until March 16th. The dates for the Tokyo Art Book Fair 2015 have been set! September 19 – 21, 2015 at the Gaien Campus of Kyoto University of Art and Design and Tohoku University of Art and Design. Applications will be accepted starting in early April. The Working Art Grant/Purchase is a one-time purchase award intended to disperse small but vitalizing bursts of funding to support an artist&s ongoing art making process. The next deadline for the $1000.00 Working Art Grant/Purchase Award is March 31st. 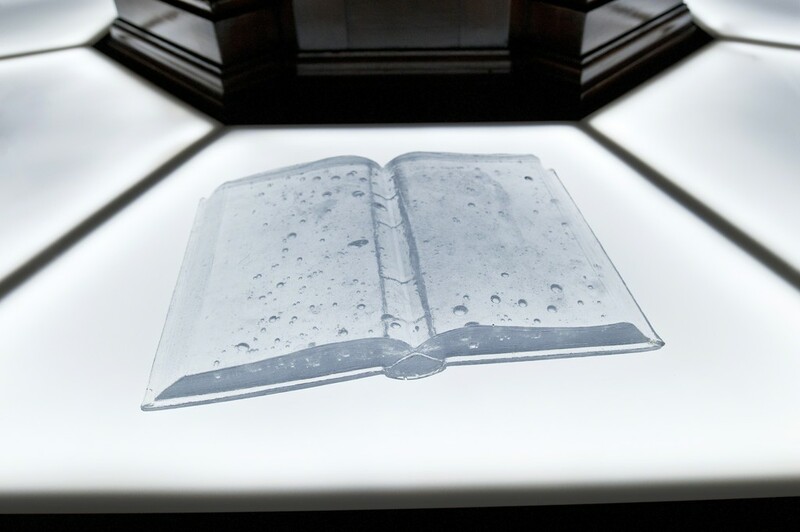 Over at Hyperallergic, Joseph Nechvatal writes about the exhibition “Pliure” at Fondation Calouste Gulbekian in Paris which covers seven centuries of book arts. Art Byte Critique’s listing of Gallery and Museum Exhibitions to See in the Tokyo area has finally been updated. The Society of Children’s Books Writers and Illustrators’ Japan Writers’ Craft Workout is a half-day writing workout with a focus on craft. Writers, translators and author-illustrators of all categories and genres of literature for children and young adults are welcome to participate. The Workout will take place on March 14th with an RSVP deadline of March 12th. Art Fair Tokyo 2015 is back this month from March 20 – 22, 2015. In addition to the numerous gallery booths and special exhibitions from Japan and around the world, there are going to be a series of talks during the fair which are free with admission to the fair. The Hiroshima MOCA’s annual DokoDemo Open Call for Proposals is open until March 31st. 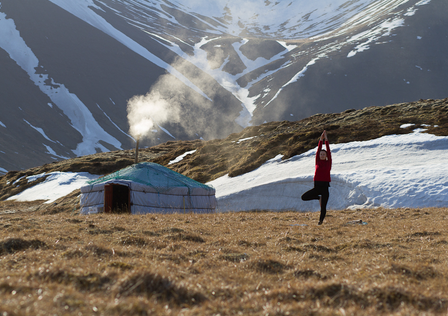 The Westfjords Residency in Thingeyri, Iceland is looking for artists for the 11 day residency. Applications are open until March 25th.